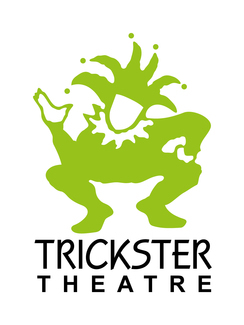 Trickster Theatre is an artist-in-residency company based in Calgary, Alberta. They tour across Alberta, creating 35+ original shows a year in all kinds of communities based on a theme chosen by the school and developed with the assistance of Trickster. These residencies take place in schools, transforming the gym into a theatre. A Trickster Theatre Residency involves the theatre team coming into our school for a week and facilitating staff and students in creating a unique and highly visual theatre. This week of workshops and rehearsals will culminate in a fun and high-energy production. Trickster Theatre has been working with schools for over three decades! In that time, they have found that having parent involvement during a residency project greatly enhances the final production. There are many different positions and tasks that we need parent volunteers for. From Apr. 8-12, 2018, Trickster will take over our school, and we need your help! Having parent volunteers in the school will help make this fun and challenging week an easier process for everyone involved. Parent involvement in the residency is the key to helping build a strong show and a stronger school community. We will be needing 15-20 large cardboard boxes to create shadow and/or black light props for the show. Large appliance boxes and multiply cardboard work best. Cardboard can be brought to the school anytime the week before the show. We own a store and will provide various sizes of boxes. Trickster Theatre arrives to the school with a van and trailer full of theatre gear. This gear is moved into the gym and parent volunteer room. Load-in usually takes 1/2 hour. Security clearance is not required to volunteer for this position. Making props & costumes, helping where needed. Assisting with timing pieces and keeping to the schedule. Hand out programs and take audience tickets (if your school is using them). After the fianl performance, we strike all the theatre gear out of the gym and back into the van and trailer. We would appreciate 8-10 helpers in the gym. The strike takes a little over an hour. Security clearance is not required to volunteer. 3-4 people in the costume room to fold and put away costumes. The strike takes a little over an hour. Security clearance is not required to volunteer.